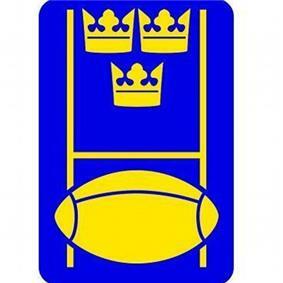 The Sweden national rugby union team is a member of the FIRA – Association of European Rugby and plays in the 2012-2014 European Nations Cup First Division. 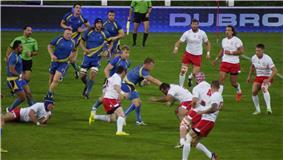 Sweden has been trying to qualify for the Rugby World Cup since the 1991 Rugby World Cup, but has yet to make it to the final competition. A majority of the players are native Swedes based in Swedish clubs but there are a growing numbers of players from the UK and Ireland that have qualified for Sweden through ancestral eligibility, and from other countries who have become eligible to play for Sweden through residency. The following is a list of matches from the past three years, as well as any future matches that have been officially scheduled. ^ "Head To Head Table". rugbydata.com. Retrieved 2013-06-03.